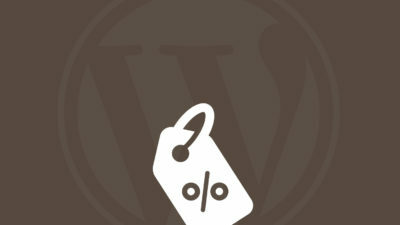 WordPress has done a legwork for all the real estate business owners out there. Rarely, you’ve seen a real estate agent who’s a web designer & a developer. For them, coding and real estate business are like east and west. But still, they can easily customize WordPress themes on their own in like a few clicks. 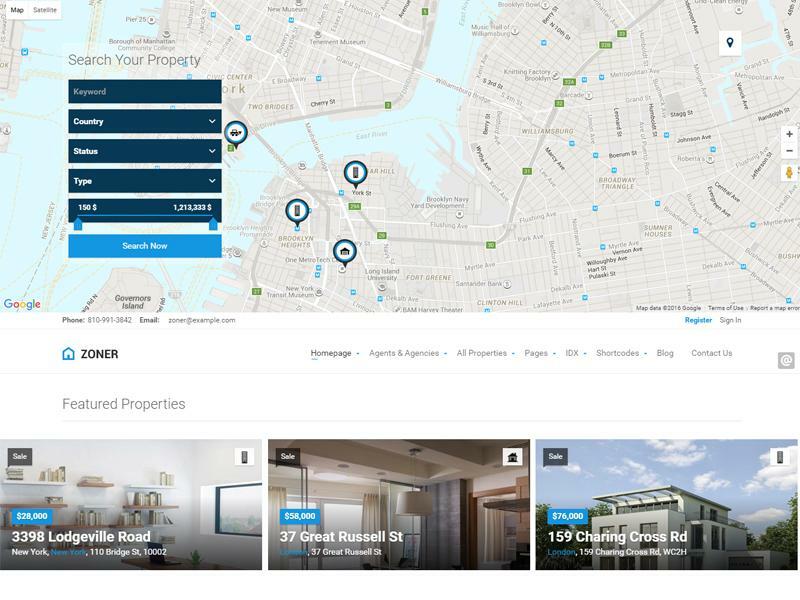 So, how about listing some of the most popular real estate WordPress themes? 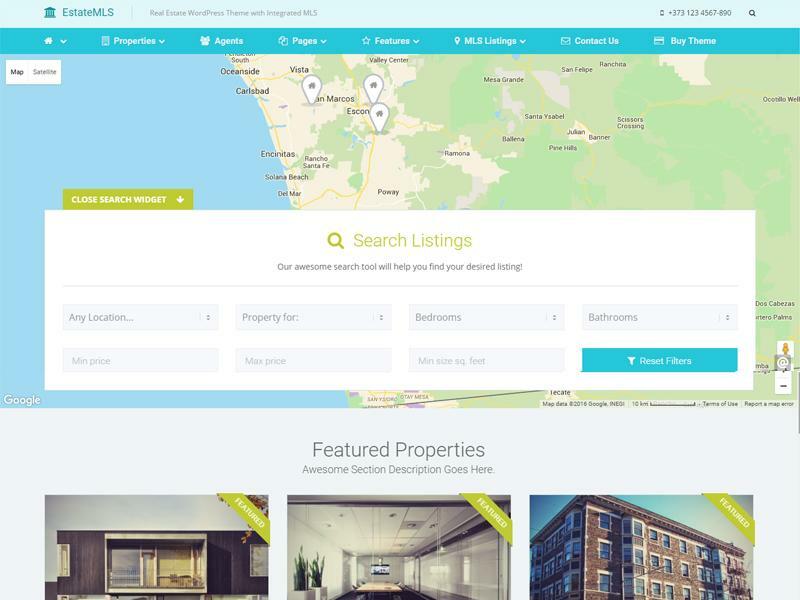 I’ve compiled one of the most comprehensive and credible collections of best real estate WordPress themes of 2016 which I’m sure is of great help for all the real estate business owners. Let’s begin. WP Real Estate Pro 7 has a modern and multi-purpose design. It is well suited for niches like vacation rental, real estate listing or apartment rental pages. Its three unique theme demos (i.e. 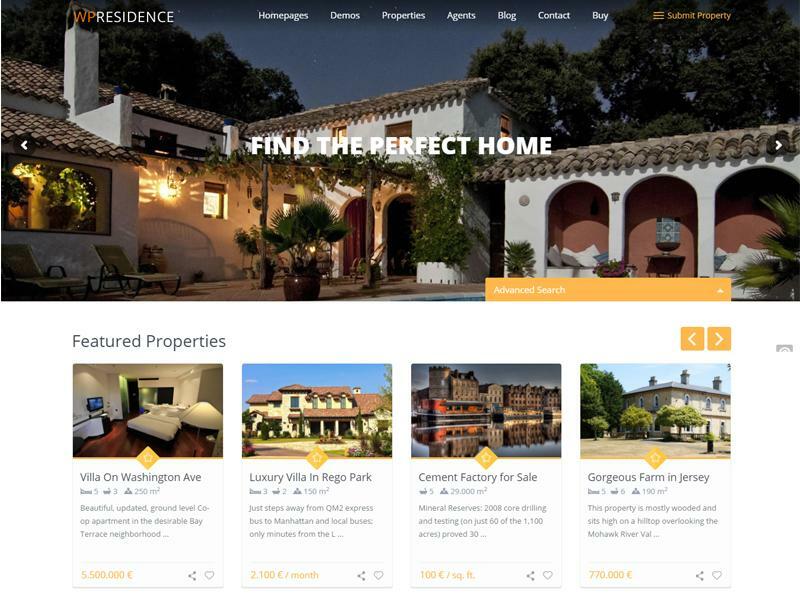 Landing page, Multi-listing and Vacation Rentals) makes it well suited for these niches. An efficient front-end management system has been incorporated which allow users to perform their submissions and activities directly from the front-end. Zoner is custom-built WordPress theme which is developed for the very purpose. 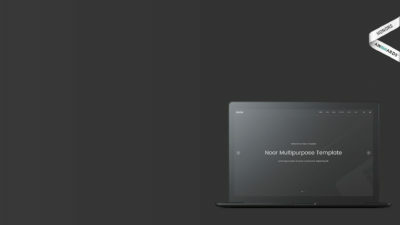 Built on Bootstrap 3 with 1170 grid system, it is unique both in terms of design and features. It works best for people who run agencies, real estates either solely or as a global real estate web portal. Redux framework has also been used in its development and it is compatible with WordPress version 4.0+. EstateMLS is a clean and fresh material design WordPress theme which works best with all kinds of real estate businesses. If you need to provide a Multiple Listing Service (MLS) to the users, EstateMLS is the right solution. It incorporates Google Maps with efficient property pins. It has a robust and powerful admin panel which is built with Redux Framework. Users can create their MLS listings in a few clicks. Realty is one of the popular and unique themes of its kind. It is fully responsive and has a sleek design. 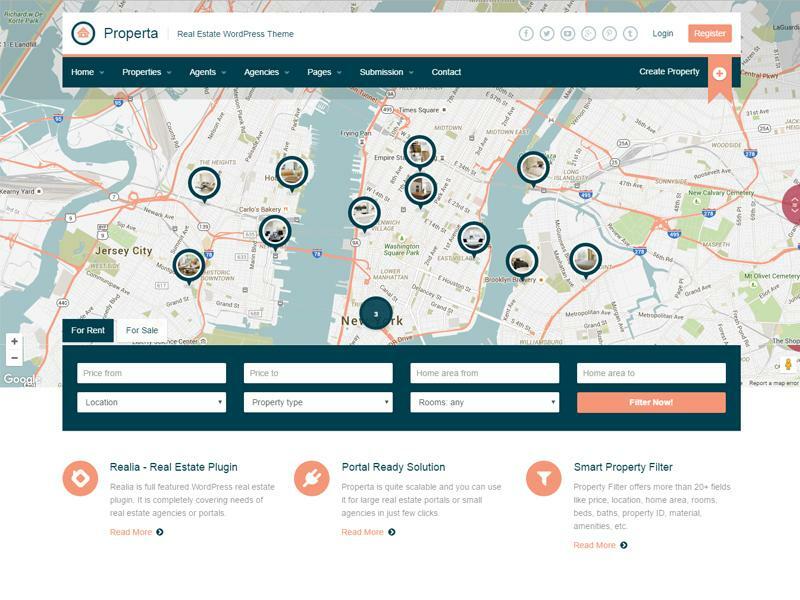 Users can fill out different fields to enjoy the most refined property search. It comes with the ACF Pro plugin which helps to incorporate the finest property management system in Realty. Google maps are integrated quite well, and property markings can be made with custom map styles. There are also several shortcodes for maps which show properties according to your requirement. Hometown is an elegant and stylish theme. It is compatible with all the leading web browsers. Its development has been done in such way that it supports WPML, Visual Composer and Foundation 5. Its drag n drop page builder helps to add creative pages in a few clicks. Hometown comes with a powerful theme options panel and meta boxes. It looks picture perfect with HiDPi displays. 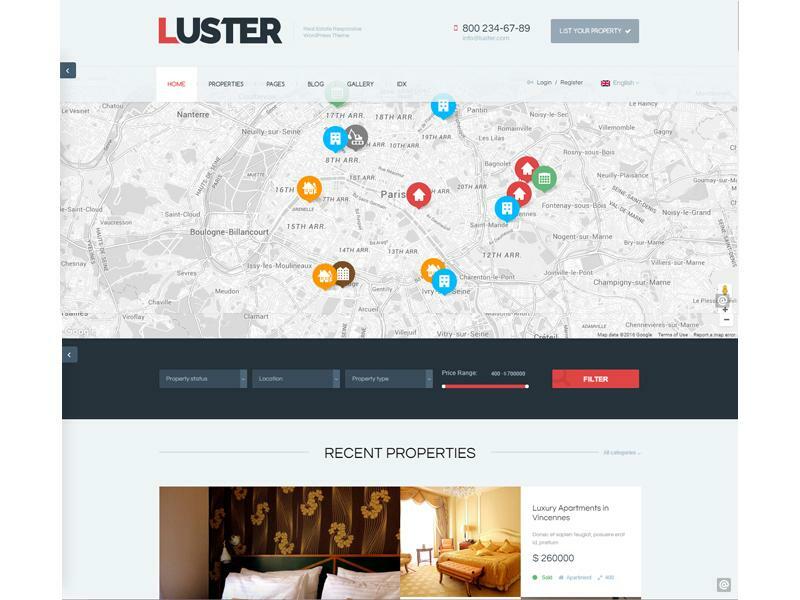 Luster is a modern and interactive real estate premium WordPress theme. Some best things about this theme are, it contains loads of page templates which have a unique design and there is a complete range of color combination and skins. It exclusively supports WooCommerce plugin and anytime you run an eCommerce business with the real estate theme. Users are kept well informed as they get weekly updates with Luster. Apart from these, it is a feature-rich theme which is fully responsive and SEO friendly. Real Spaces is a clean and fresh WordPress theme which is fully responsive and built with Bootstrap. It has a feature-rich theme options panel. You can add and edit new properties, agents and user profile quite efficiently. Being retina ready it gives an appealing look to the website. The multiple type user accounts is a unique feature which is not found in many of its counterparts. With Real Spaces, you can also save your search results for future use. Search via filters e.g. property ID, postal code, etc. 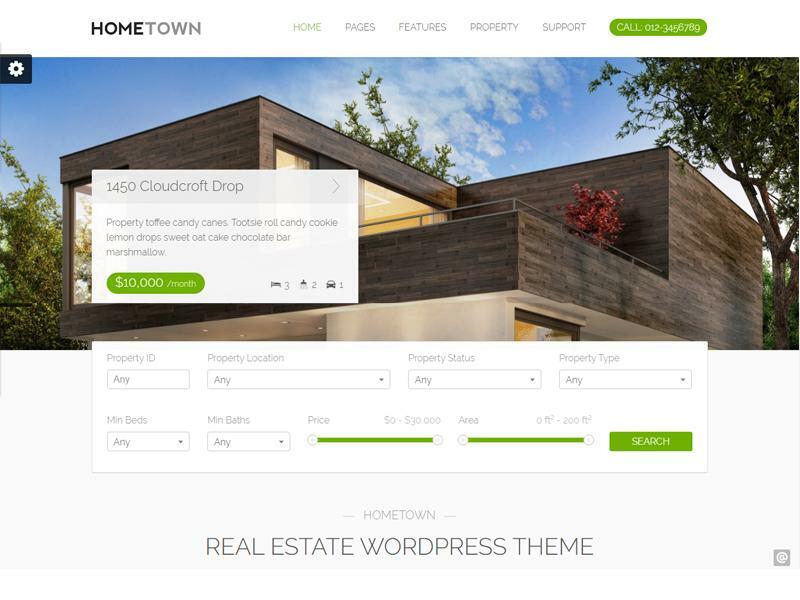 Sweethome is a minimal WordPress real estate theme with a sleek design. It is compatible with almost all the web browsers and is fully responsive. It is well suited for property agents, property listings, and property brokers. It fulfills all the coding standards of HTML5 and CSS3. It comes up with features like a homepage widget builder, compatibility with WooCommerce, advanced property search, and a powerful admin panel. Customizable colors for header, footer, widgets, etc. 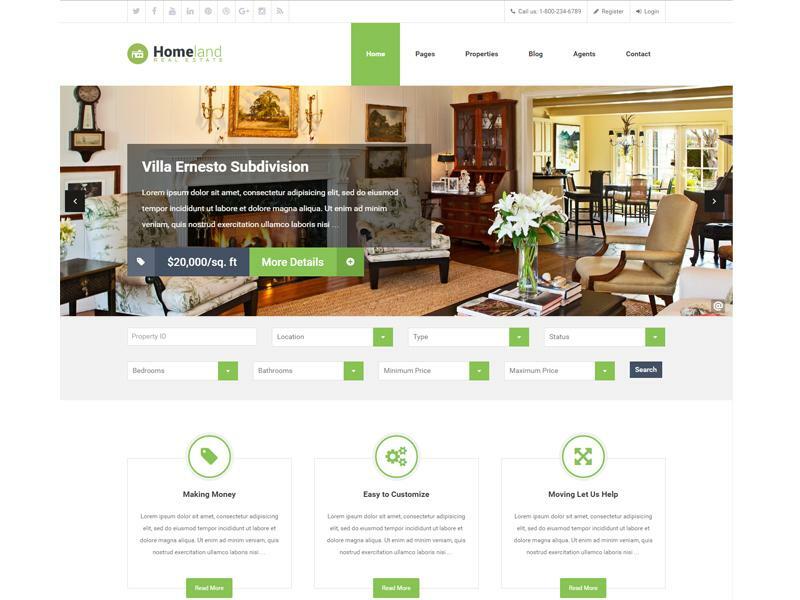 Bentuestu is one such WordPress theme which can be used for renting property. 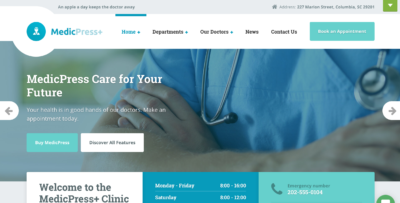 It is built with Bootstrap and with approved standards of HTML5 and CSS3. 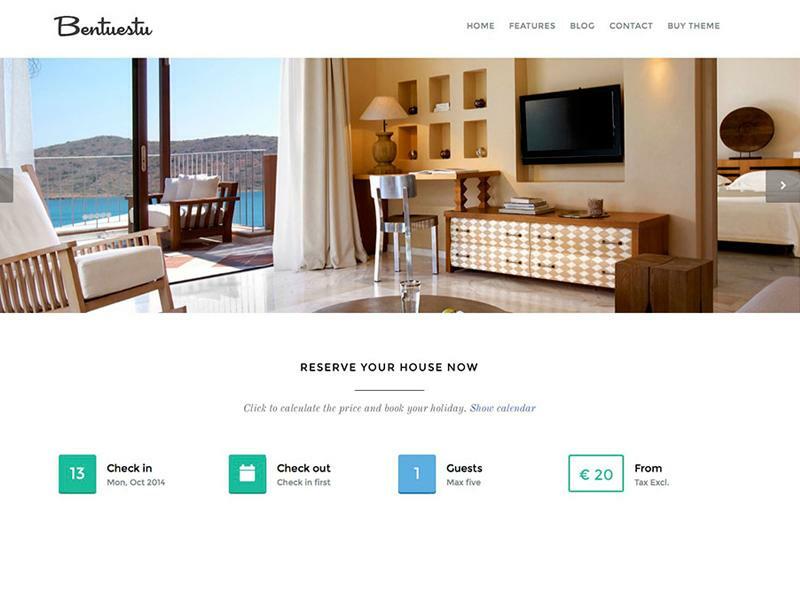 One of the prominent features of this themes is its efficient booking system which allows users to check the availability of any property in advance and reserve it accordingly. Apart from this, a revolution slider is incorporated in it and has a feature-rich admin panel. WP Residence is an elegant and straightforward real estate theme which is built by incorporating three different technologies i.e. Bootstrap, HTML5/CSS3, and Ajax. It is one of the best selling themes of this kind so far. With over more than 4000 satisfied customers, WP Residence has several features. It offers membership submission for users. You can create custom fields and your favorite lists. Social login is also allowed. It allows multiple payment options like PayPal, Stripe, etc. Homeland is a simple yet modern WordPress real estate theme. It is entirely compatible with WPML and bbPress. This theme offers three different layouts i.e. fullwidth, box and box-left. You can make custom post types, and there are numerous page templates. It is retina ready and fully responsive. You can also find multiple color variations in it. One prominent feature is the free property submission. To do so, just register before you submit any property but the administrator will review it first and then publish it. 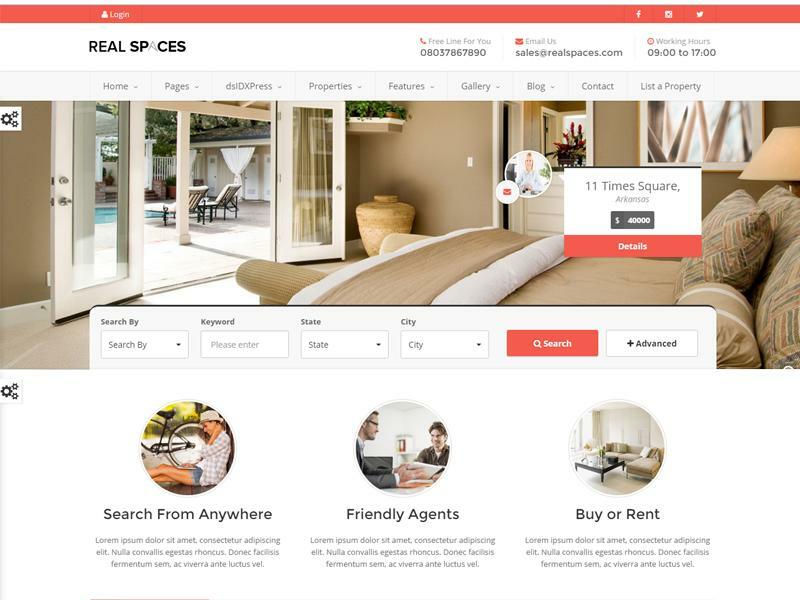 Real Expert is a modern and interactive WordPress theme which can be used not only for the real estate listing website but for any listing websites. It is compatible with WPML and Bootstrap and supports all browsers. 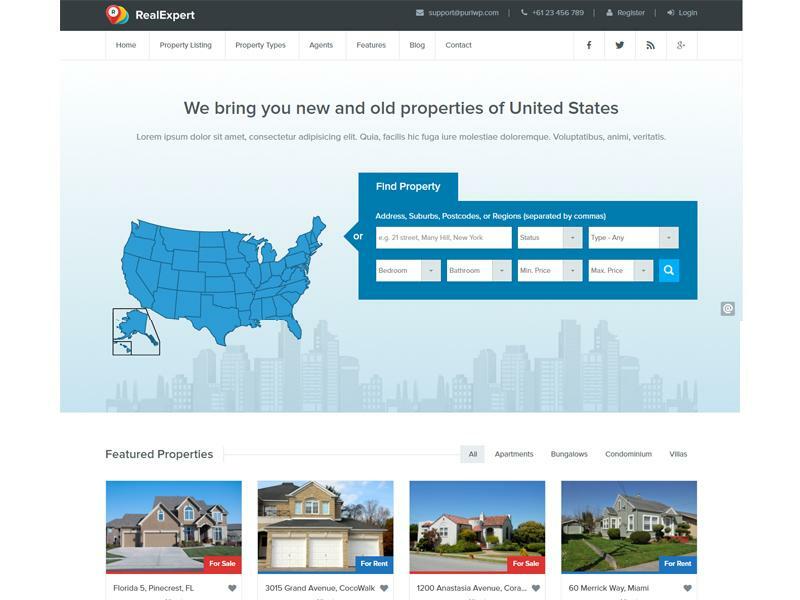 Features like advanced property search, dslDXpress support, front-end property submission, etc. are part of this theme. With Real Expert, you can also make paid property listing via PayPal. 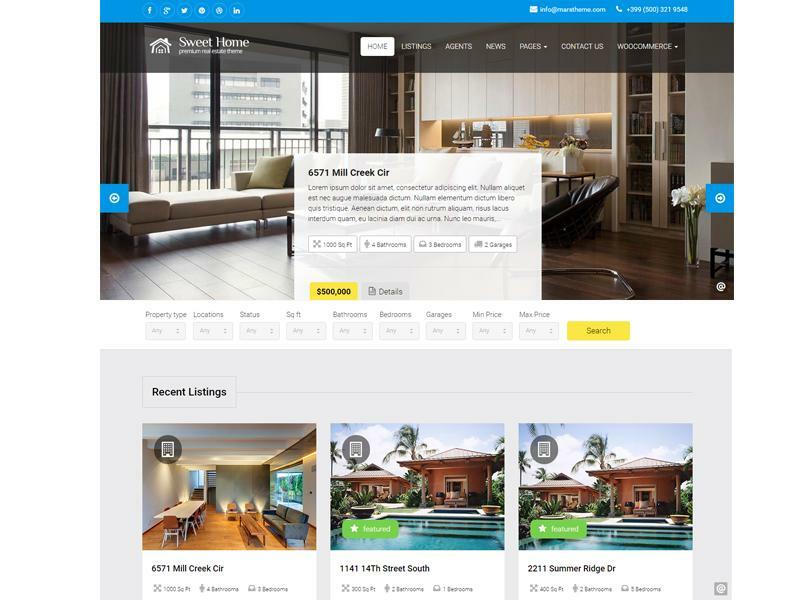 Properta is a real estate theme which is built with Bootstrap. The maps are integrated so well that apart from real estate websites, it can be used for any directory listing website as well. You’ll find a lot of search filters in this theme which helps users to get refined results. Talking about the monetary features, then there are several payment methods which are integrated here. Front-end property submission and iOS app support are also its features. 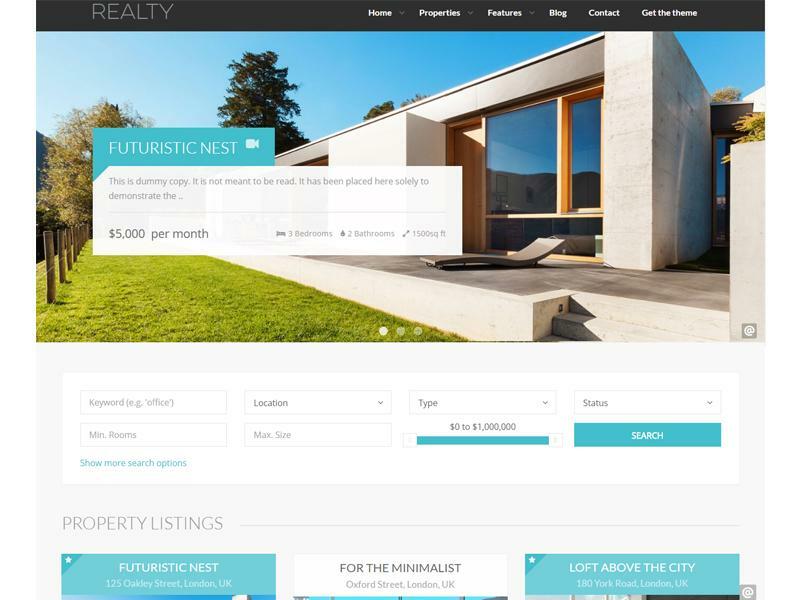 Overall Properta is an excellent choice for real estate websites. 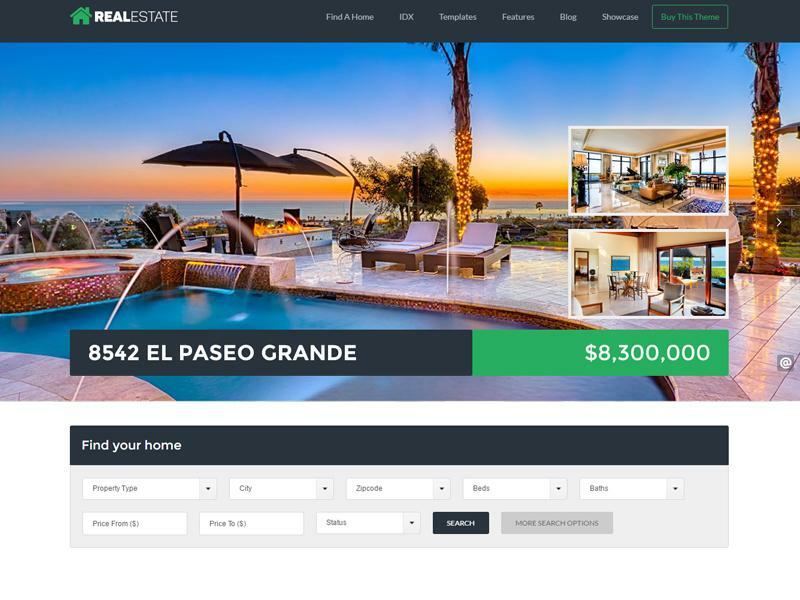 So if you’re a real estate agent or a property broker and looking for some fresh real estate website templates, then do give this collection a chance. If you want to add any new names to the list, then comment below.